Selkirk opened brightly testing the Hamilton defence who fronted up well, restricting them to a penalty goal on 10 minutes. The Hamilton response was immediate and for the next few minutes, they applied pressure which was rewarded when scrum half Hugo Crush made a trademark blindside dash to within 5 meters. The ball was recycled and winger Max Priestly darted in for Hamiton’s try. Uncharacteristically, Owen McLeish was unsuccessful from the tee. Hamilton’s weakness from the kick off as exposed yet again when a long kick off, low and skidding when it landed, drifted over the line and winger Clapperton won the race for the touch down. For much of the first half Hamilton were well in the game, and it was during this phase hat Selkirk’s dominance at the loose won them territory. Hamilton continued their strategy of playing with ball in hand from deep, but the lack of a big ball carrier kept them pinned back and Selkirk turned over possession to score 2 unanswered tries for a half time lead of 20 - 5. Hamilton still felt they were well in the match, and opened the second half with some determined attacking play. However when White was yellow carded for not moving away from the tackle, Selkirk took full advantage scoring a penalty goal and two tries during that 10 minutes, effectively ending the match as a contest. 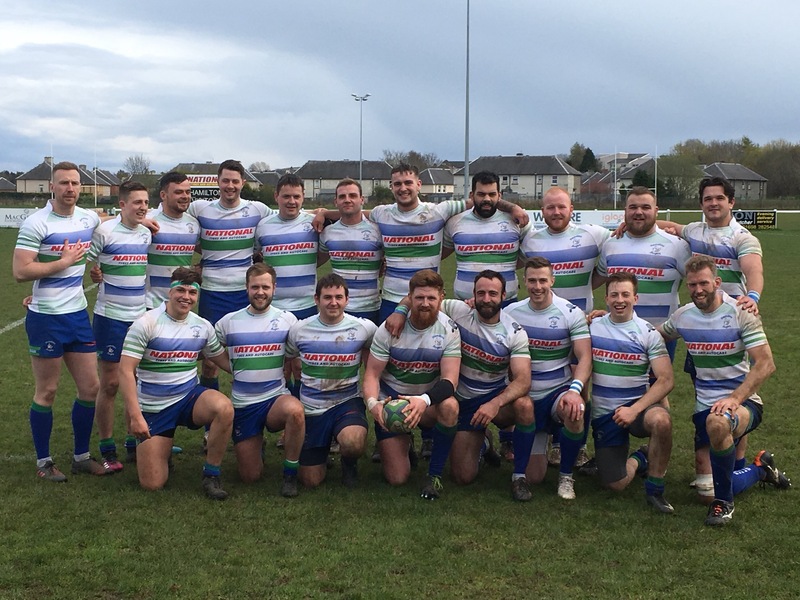 Despite Hamilton’s best efforts, they were unable to breach the Selkirk defence and it was the home team which ended the scoring with another fine try. Selkirk were worthy winners. Their defence was excellent and in Clapperton they had a genuine match winner, who exploited space with his pace to carry the day. Coach Gemmell was not downhearted. “We lost to the better side today, but showed bot spirit and skills which we will carry into the next 3 games which are vital We visit Cartha on Saturday and then host Dundee and Kirkaldy. These games are vital for our season.